Pokémon Go players received surprise news this morning: You can now catch Spinda and add it to your PokéDex. If you feel some kind of attachment to this drunk disgrace of a rat-rabbit-bear, congratulations, today is your day. 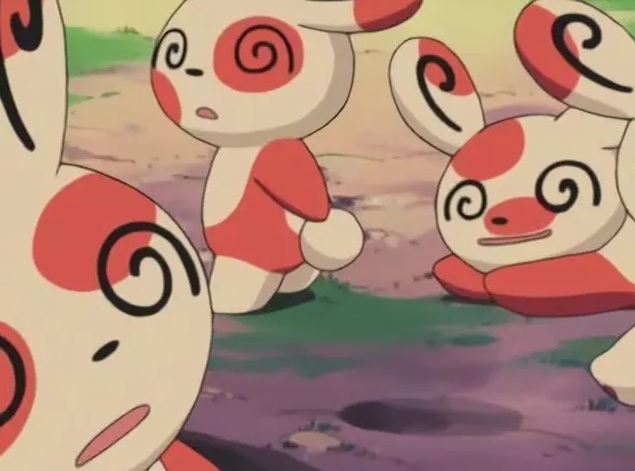 Spinda is a Gen III Pokémon (that's Pokémon Ruby / Sapphire) who's known for two things: 1) Having a randomly-generated coat pattern (the Pokémon SoulSilver PokéDex says the chance of sighting identical twins is "less than one in four billion"), and 2) not being able to walk in a straight line. Its eyes are depicted as goofy anime swirls to drive home the point it's in perpetual danger of walking off cliffs or into traffic. I assume the Spinda sub-species endures because it procreates at a very rapid pace. Er, if Spinda pairs can even stand still long enough to successfully mate. Catching Spinda in Pokémon Go is a little different from the normal method of yanking it off your front lawn. For now, the Pokémon is a task reward encounter for making three curveball throws in a row. If you looked up every word humanity has used to say "No" since the dawn of time, you still wouldn't have enough No's to indicate how little I want this. Niantic wants us to capture a bad Pokémon via a bad quest, and I'm not touching it with a ten-foot Pokémon pole. First, I hate differently-patterned Pokémon. Even though I know having just one pattern counts as a successful capture, Pokémon with varying coats make me feel like my PokéDex will forever have a gap unless I find every single variation (reminder about Spinda: Four billion coat patterns). I've never completed a single PokéDex in my life, but never mind that, the very idea of Spinda's traveling spots make me big-time uncomfortable. To be fair, Niantic's only offering eight variations on Spinda's coat. That's not so bad—except getting a chance to meet even one Spinda means successfully participating in Pokémon Go's worst task: Curveball-throwing. Lord protect and preserve me, I can't throw one curveball in Pokémon Go to save my life, and Niantic's criteria for meeting Spinda orders me to throw three in a row? Nah. "Follow me to die instantly!" Now, don't get me wrong: I can throw a Poké-curveball in Pokémon Go as long as I'm not expected to actually hit a Pokémon with it. I doubt that's going to fly if I want a chance to encounter Spinda, though. Unless I come across three Wailords in a row, I guess I'm chuck outta luck. Is that so bad, though? Not for me, I guess: Spinda's not my favorite Pokémon. I get the impression the vaguely rodent-looking beast was created to capitalize on Pikachu's popularity, not unlike Plusle, Minun, Dedenne, and Togedemaru. 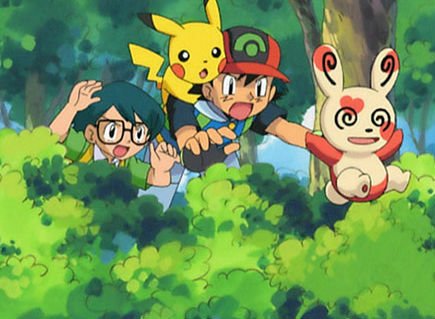 No, Spinda isn't part of the Pikachu family tree, but it has a cute quirkness that says "Hey, look at our new mascot, maybe!". I'm not cynical about Game Freak's attempts to make a Pikachu II—Mimikyu is Pikachu's true successor and one of the greatest Pokémon ever created, as far as I'm concerned—but when I look at Spinda, I think "Dang, son, you're trying too hard." Well, here we are. We have a bad research task that lets you catch a bad Pokémon. Enjoy! For more info on Spinda in Pokemon GO, head over to our Pokemon GO Spinda Guide.